We do custom tours for groups as few as 2 and as large as 25. Tours can be as short as one day or as long as 2 weeks (longer, if you have the time). If you don't see exactly what you want, just ask. If it's west of Denver, we've probably ridden there. 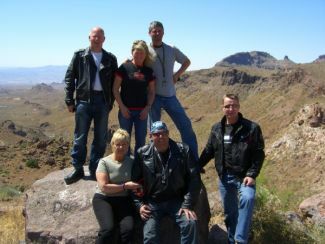 We know the American west very well and will gladly help you plan a memorable ride.